When fresh snow has fallen during the night and it lies glistening in the early wintry sun, I can’t resist going outdoors. The silence that surrounds me, the crystal-clear air and the beauty of this pristine natural world gives me an inner peace. And at the same time, I feel new energy pulse through my body and my spirit. Step-by-step, I walk through the snow, listening to the crunching sounds beneath my feet and the rhythm of my breathing. I can’t think of a more perfect way to start a new winter’s day. Enjoy winter in all its glory on a winter or snowshoe hiking tour during your holiday in the Post Alpina. 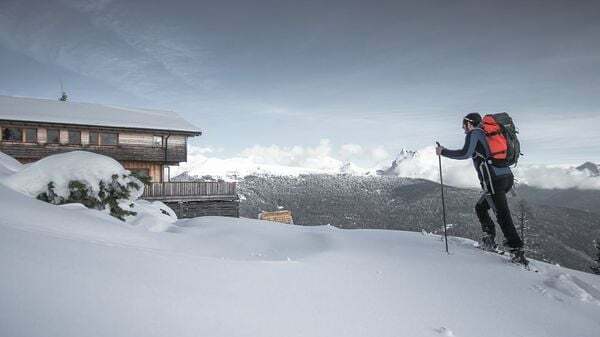 There are ample opportunities for this, our family hotel is located in the midst of the beautiful natural surroundings, framed by the white mountain peaks of the legendary Dolomites. Or, if you prefer, take the lift from Monte Elmo into the mountains and experience amazing tours from there. 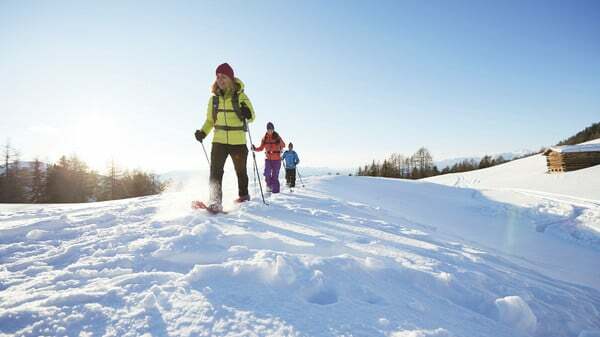 Three times a week, we also accompany you on a snowshoe hiking tour through the snowy mountain world.